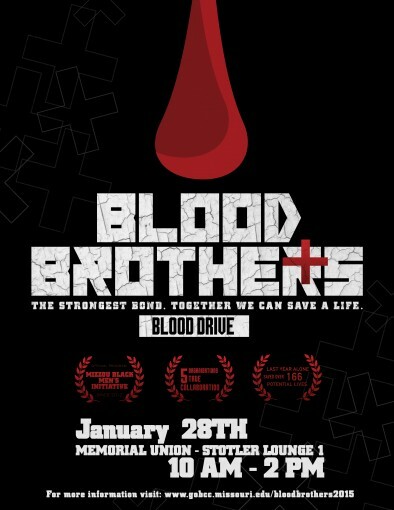 We challenge YOU to give the “Gift of Life” by donating blood at the 4th Annual Blood Brothers Blood Drive. The drive will take place Wednesday, January 28th from 10am – 2pm in Stotler Lounge I – Memorial Union. This blood drive is open to the public. Walk-ins are welcome but appointments are encouraged. To make your appointment for the Blood Brothers Blood Drive, please follow directions below. 1. Click the registration http://redcrossblood.org/. 2. If you are already registered with the Red Cross, sign-in, if not then you need to register as a new user. 3. Select your desired appointment time and follow directions to complete your appointment.